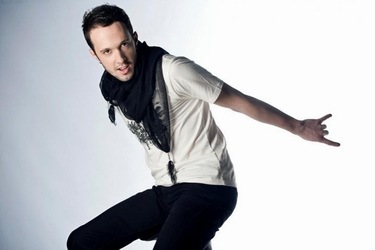 VukaЕЎin BrajiД‡ (born February 9, 1984 in Sanski Most) is a Bosnian pop-rock singer who rose to fame after becoming runner-up of the first season of the TV show Operacija Trijumf 2008/2009, broadcasted in 5 countries of Balkan region. VukasinвЂ™s interest in music started early in life, but was difficult to be realized due to war. In 1994 his family moved to Mali Pozarevac in Sopot and later to Cacak, where Vukasin finished both elementary and high school in Cacak. Studying by himself he acquired his keyboards and guitar skills. He also sang in the choir, danced in the dance studio "Luna" and was a member of a drama club. When he was nineteen years old, he moved from Cacak to Negotin where he enrolled the Teacher Education Academy. When he was on his third year of college, he moved from Negotin to Belgrade. In 2003 in Negotin, he met Darko Nikodijevic and Nemanja Andelkovic and they recorded a few songs as a melodic metal band "Affect". In April, 2007, they released promo-single and performed in clubs. However, in late 2007 "Affect" has been put on hold and Vukasin continued to perform with Marko Maric in an acoustic duo "Lucky Luke". During preparational period before Operation Triumph he went back to Belgrade and studied vocal with Professor Tanja Andrejic, with whom he worked for three months. 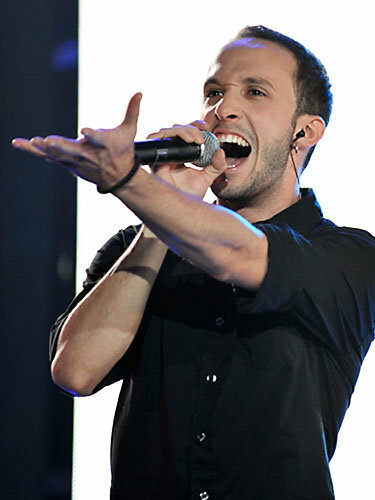 After passing the auditions, he did a few promotional concerts across the Serbia during the summer with other Serbian contestants from the show. In the show, Vukasin has been nominated to leave several times, but always was saved by public. 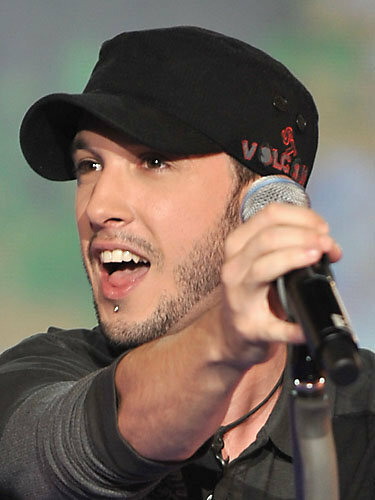 At the final he performed three songs, "Easy" by Commodores, "More Than Words" by Extreme and "Highway To Hell" by AC/DC getting around 330 000 votes and ending up as the 1st runner up, behind the winner Adnan Babajic. After the OT, Vukasin became a member of so called "OT Bend" along with three more Operacija Trijumf participants (Nikola Paunovic, Nikola Saric and Djordje Gogov). 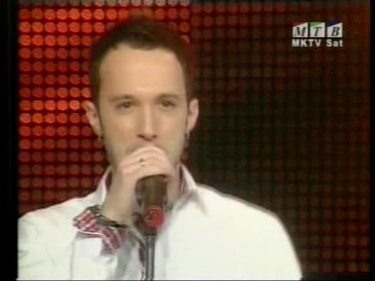 "OT Bend" entered the "Beovizija 2009", Serbian Eurovision preselection finishing 2nd despite topping the public vote. Watch Munja i grom presentation here, English version here. Listen to English version here and Bosnian here. Р’СѓРєР°С€РёРЅ Р‘СЂР°Р№РёС‡ (СЂРѕРґРёР»СЃСЏ 9РіРѕ С„РµРІСЂР°Р»СЏ 1984 РіРѕРґР° РІ РЎР°РЅСЃРєРё РњРѕСЃС‚) - Р±РѕСЃРЅРёР№СЃРєРёР№ РїРѕРї-СЂРѕРє РїРµРІРµС†, РєРѕС‚РѕСЂС‹Р№ РїРѕР»СѓС‡РёР» РёР·РІРµСЃС‚РЅРѕСЃС‚СЊ РїРѕСЃР»Рµ С‚РѕРіРѕ, РєР°Рє СЃС‚Р°Р» РІС‚РѕСЂС‹Рј РїСЂРёР·РµСЂРѕРј РїРµСЂРІРѕРіРѕ СЃРµР·РѕРЅР° С‚РµР»РµС€РѕСѓ РћРїРµСЂР°С†РёСЏ РўСЂРёСѓРјС„ 2008-2009, РєРѕС‚РѕСЂРѕРµ С‚СЂР°РЅСЃР»РёСЂРѕРІР°Р»РѕСЃСЊ РІ 5 СЃС‚СЂР°РЅР°С… Р±Р°Р»РєР°РЅСЃРєРѕРіРѕ СЂРµРіРёРѕРЅР°. Р�РЅС‚РµСЂРµСЃ Р’СѓРєР°С€РёРЅР° Рє РјСѓР·С‹РєРµ РїСЂРѕСЏРІРёР»СЃСЏ РІ СЂР°РЅРЅРµРј РІРѕР·СЂР°СЃС‚Рµ, РЅРѕ РЅРµ РјРѕРі СЂРµР°Р»РёР·РѕРІР°С‚СЊСЃСЏ РёР·-Р·Р° РІРѕРµРЅРЅРѕР№ РѕР±СЃС‚Р°РЅРѕРІРєРё РІ СЃС‚СЂР°РЅРµ. Р’ 1994 РіРѕРґСѓ РµРіРѕ СЃРµРјСЊСЏ РїРµСЂРµР±СЂР°Р»Р°СЃСЊ РІ РњР°Р»Рё РџРѕР¶Р°СЂРµРІР°С‡ РІ РЎРѕРїРѕС‚ Рё Р·Р°С‚РµРј РІ Р§Р°С‡Р°Рє, РіРґРµ Р’СѓРєР°С€РёРЅ Р·Р°РєРѕРЅС‡РёР» С€РєРѕР»Сѓ. РџСѓС‚РµРј СЃР°РјРѕРѕР±СЂР°Р·РѕРІР°РЅРёСЏ РѕРЅ РЅР°СѓС‡РёР»СЃСЏ РёРіСЂР°С‚СЊ РЅР° РєР»Р°РІРёС€РЅС‹С… Рё РіРёС‚Р°СЂРµ. РћРЅ С‚Р°РєР¶Рµ РїРµР» РІ С…РѕСЂРµ, С‚Р°РЅС†РµРІР°Р» РІ СЃС‚СѓРґРёРё "Р›СѓРЅР°" Рё Р±С‹Р» С‡Р»РµРЅРѕРј С‚РµР°С‚СЂР°Р»СЊРЅРѕРіРѕ РєСЂСѓР¶РєР°. РљРѕРіРґР° РµРјСѓ Р±С‹Р»Рѕ 19 Р»РµС‚, РѕРЅ РїРµСЂРµР±СЂР°Р»СЃСЏ РІ РќРµРіРѕС‚РёРЅ, РіРґРµ РїРѕСЃС‚СѓРїРёР» РІ РњСѓР·С‹РєР°Р»СЊРЅСѓСЋ РђРєР°РґРµРјРёСЋ. РќР° С‚СЂРµС‚СЊРµРј РіРѕРґСѓ РѕР±СѓС‡РµРЅРёСЏ РѕРЅ РїРµСЂРµРµР·Р¶Р°РµС‚ РІ Р‘РµР»РіСЂР°Рґ. Р’ 2003 РіРѕРґСѓ, РІ РќРµРіРѕС‚РёРЅРµ, РѕРЅ РІСЃС‚СЂРµС‡Р°РµС‚ Р”Р°СЂРєРѕ РќРёРєРѕРґРёРµРІРёС‡Р° Рё РќРµРјР°РЅСЊСЋ РђРЅРґРµР»РєРѕРІРёС‡Р° Рё РѕРЅРё Р·Р°РїРёСЃС‹РІР°СЋС‚ РІРјРµСЃС‚Рµ РЅРµСЃРєРѕР»СЊРєРѕ РїРµСЃРµРЅ РєР°Рє РјРµР»РѕРґРёРє-РјРµС‚Р°Р»Р» РіСЂСѓРїРїР° "Affect". Р’ 2007 РіРѕРґСѓ РѕРЅРё РІС‹РїСѓСЃРєР°СЋС‚ РїСЂРѕРјРѕ-СЃРёРЅРіР» Рё РІС‹СЃС‚СѓРїР°СЋС‚ РІ РєР»СѓР±Р°С…. РћРґРЅР°РєРѕ, РІ РєРѕРЅС†Рµ 2007 РіРѕРґР° "Affect" РїРµСЂРµСЃС‚Р°РµС‚ СЃСѓС‰РµСЃС‚РІРѕРІР°С‚СЊ, Рё Р’СѓРєР°С€РёРЅ РЅР°С‡РёРЅР°РµС‚ РІС‹СЃС‚СѓРїР°С‚СЊ СЃ РњР°СЂРєРѕ РњР°СЂРёС‡РµРј РІ СЃРѕСЃС‚Р°РІРµ Р°РєРєСѓСЃС‚РёС‡РµСЃРєРѕРіРѕ РґСѓСЌС‚Р° "Lucky Luke". Р’Рѕ РІСЂРµРјСЏ РїРѕРґРіРѕС‚РѕРІРєРё Рє РћРїРµСЂР°С†РёРё РўСЂРёСѓРјС„ РѕРЅ РІРѕР·РІСЂР°С‰Р°РµС‚СЃСЏ РІ Р‘РµР»РіСЂР°Рґ Рё Р·Р°РЅРёРјР°РµС‚СЃСЏ РІРѕРєР°Р»РѕРј СЃ РїСЂРѕС„РµСЃСЃРѕСЂРѕРј РўР°РЅРµР№ РђРЅРґСЂРµР№РёС‡, СЃ РєРѕС‚РѕСЂРѕР№ СЂР°Р±РѕС‚Р°РµС‚ С‚СЂРё РјРµСЃСЏС†Р°. РџРѕСЃР»Рµ РїСЂРѕС…РѕР¶РґРµРЅРёСЏ РїСЂРѕСЃР»СѓС€РёРІР°РЅРёСЏ РѕРЅ РґР°РµС‚ РЅРµСЃРєРѕР»СЊРєРѕ РїСЂРѕРјРѕ-РєРѕРЅС†РµСЂС‚РѕРІ РІ РЎРµСЂР±РёРё РІРјРµСЃС‚Рµ СЃ РґСЂСѓРіРёРјРё СѓС‡Р°СЃС‚РЅРёРєР°РјРё С€РѕСѓ. Р’ С€РѕСѓ, Р’СѓРєР°С€РёРЅ РЅРµРѕРґРЅРѕРєСЂР°С‚РЅРѕ Р±С‹Р» РЅРѕРјРёРЅРёСЂРѕРІР°РЅ РЅР° РІС‹Р»РµС‚, РЅРѕ РїРѕСЃС‚РѕСЏРЅРЅРѕ Р±С‹Р» СЃРїР°СЃР°РµРј С‚РµР»РµР·СЂРёС‚РµР»СЏРјРё. Р’ С„РёРЅР°Р»Рµ РѕРЅ СЃРїРµР» С‚СЂРё РїРµСЃРЅРё "Easy" Commodores, "More Than Words" Extreme Рё "Highway To Hell" AC/DC, Р·Р°РІРѕРµРІР°РІ РѕРєРѕР»Рѕ 330 000 РіРѕР»РѕСЃРѕРІ Рё Р·Р°РЅСЏРІ 2Рµ РјРµСЃС‚Рѕ РїРѕСЃР»Рµ РђРґРЅР°РЅР° Р‘Р°Р±Р°Р№РёС‡Р°. РџРѕСЃР»Рµ РћРў, Р’СѓРєР°С€РёРЅ СЃС‚Р°РЅРѕРІРёС‚СЃСЏ С‡Р»РµРЅРѕРј "OT Bend" РІРјРµСЃС‚Рµ СЃ С‚СЂРµРјСЏ РґСЂСѓРіРёРјРё С„РёРЅР°Р»РёСЃС‚Р°РјРё (РќРёРєРѕР»Р° РџР°СѓРЅРѕРІРёС‡, РќРёРєРѕР»Р° РЎР°СЂРёС‡ Рё Р”Р¶РѕСЂРґР¶Рµ Р“РѕРіРѕРІ). "OT Bend" РїСЂРёРЅРёРјР°РµС‚ СѓС‡Р°СЃС‚РёРµ РІ "Beovizija 2009", СЃРµСЂР±СЃРєРѕРј РѕС‚Р±РѕСЂРµ РЅР° РєРѕРЅРєСѓСЂСЃ Р•РІСЂРѕРІРёРґРµРЅРёРµ, РіРґРµ Р·Р°РЅРёРјР°РµС‚ 2Рµ РјРµСЃС‚Рѕ, РЅРµСЃРјРѕС‚СЂСЏ РЅР° РїРѕР±РµРґСѓ РІ РіРѕР»РѕСЃРѕРІР°РЅРёРё С‚РµР»РµР·СЂРёС‚РµР»РµР№. РџСЂРµР·РµРЅС‚Р°С†РёСЋ РїРµСЃРЅРё Munja i grom РјРѕР¶РЅРѕ СѓРІРёРґРµС‚СЊ Р·РґРµСЃСЊ, Р°РЅРіР»РёР№СЃРєРѕР№ РІРµСЂСЃРёРё Р·РґРµСЃСЊ. РџСЂРѕСЃР»СѓС€Р°С‚СЊ Р°РЅРіР»РёР№СЃРєСѓСЋ РІРµСЂСЃРёСЋ РјРѕР¶РЅРѕ Р·РґРµСЃСЊ, Р±РѕСЃРЅРёР№СЃРєСѓСЋ - Р·РґРµСЃСЊ. Ja Д‡u izaД‡i iz stana. i nek' odnese ih rijeka. A svi u svijetu svom. Sve Д‡e otiД‡i do kraja, svi Д‡e izaД‡i. 18/02 Bosnia and Herzegovina may be excluded from the list of participants of Eurovision Song Contest 2010, as today European Broadcasting Union has warned. According to the statement issued by EBU Director General Ingrid Deltenre BHRT is facing severe debt of towards the EBU. Currently BHRT's debts to the EBU total the equivalent of nearly 2.9 million Swiss francs. "Such a level of debt would not be tolerated by the EBU or BHRT's fellow EBU Members under normal circumstances, and it is only the very difficult situation in Bosnia-Herzegovina that has made us so patient" is said in the statement. Unless at least CHF 250,000 are paid by 30 April, PBS BHRT will be barred from taking part in this year's Eurovision Song Contest. Furthermore, unless a further CHF 500,000 is paid by 15 June BHRT will be denied access to other EBU and Eurovision services, including the signal of this summer's World Cup football competition from South Africa. The full balance of the debt is payable by 31 December. EBU has appealed to Parliamentaries of Bosnia and Herzegovina to help solve this issue and other issues that may lead to Bosnia-Herzegovina being completely excluded from interactive broadcasting communication with the rest of Europe by 2012 as soon as possible. off all the debts from the period of the war, and a large part of further debts accrued before 2002. "Such measures cannot and will not be repeated", firmly says EBU Director General though noting that "We are prepared to resolve the problem of the current debt in part through a long-term rescheduling. However, we have received no valid proposal so far". Р‘РѕСЃРЅРёСЏ Рё Р“РµСЂС†РµРіРѕРІРёРЅР° РјРѕР¶РµС‚ Р±С‹С‚СЊ РёСЃРєР»СЋС‡РµРЅР° РёР· С‡РёСЃР»Р° СѓС‡Р°СЃС‚РЅРёРєРѕРІ РєРѕРЅРєСѓСЂСЃР° Р•РІСЂРѕРІРёРґРµРЅРёРµ 2010, Рѕ С‡РµРј РїСЂРµРґСѓРїСЂРµРґРёР» СЃРµРіРѕРґРЅСЏ Р•РІСЂРѕРїРµР№СЃРєРёР№ Р’РµС‰Р°С‚РµР»СЊРЅС‹Р№ РЎРѕСЋР·. РљР°Рє РіРѕРІРѕСЂРёС‚СЃСЏ РІ Р·Р°СЏРІР»РµРЅРёРё РіРµРЅРµСЂР°Р»СЊРЅРѕРіРѕ РґРёСЂРµРєС‚РѕСЂР° Р•Р’РЎ Р�РЅРіСЂРёРґ Р”РµР»С‚РµРЅС‚Рµ Р±РѕСЃРЅРёР№СЃРєР°СЏ С‚РµР»РµРєРѕРјРїР°РЅРёСЏ BHRT РѕР±СЏР·Р°РЅР° РІС‹РїР»Р°С‚РёС‚СЊ Р•Р’РЎ РІРЅСѓС€РёС‚РµР»СЊРЅС‹Р№ РґРѕР»Рі. Р’ РЅР°СЃС‚РѕСЏС‰РёР№ РјРѕРјРµРЅС‚ РѕРЅ СЃРѕСЃС‚Р°РІР»СЏРµС‚ РѕРєРѕР»Рѕ 2.9 РјРёР»Р»РёРѕРЅРѕРІ С€РІРµР№С†Р°СЂСЃРєРёС… С„СЂР°РЅРєРѕРІ. "РџРѕРґРѕР±РЅС‹Р№ СѓСЂРѕРІРµРЅСЊ РґРѕР»РіР° РЅРµРґРѕРїСѓСЃС‚РёРј Рё РїСЂРё РѕР±С‹С‡РЅС‹С… СѓСЃР»РѕРІРёСЏС… Р·Р° РµРіРѕ РґРѕСЃС‚РёР¶РµРЅРёРµРј СѓР¶Рµ РїРѕСЃР»РµРґРѕРІР°Р»Рё Р±С‹ СЃР°РЅРєС†РёРё, Рё С‚РѕР»СЊРєРѕ С‚Рѕ, С‡С‚Рѕ РјС‹ РѕСЃРѕР·РЅР°РµРј СЃР»РѕР¶РЅРѕСЃС‚СЊ СЃРёС‚СѓР°С†РёРё РІ Р‘РѕСЃРЅРёРё Рё Р“РµСЂС†РµРіРѕРІРёРЅРµ, РїРѕР·РІРѕР»РёР»Рѕ РЅР°Рј Р±С‹С‚СЊ РЅР°СЃС‚РѕР»СЊРєРѕ С‚РµСЂРїРµР»РёРІС‹РјРё", РіРѕРІРѕСЂРёС‚СЃСЏ РІ Р·Р°СЏРІР»РµРЅРёРё. Р’ СЃР»СѓС‡Р°Рµ, РµСЃР»Рё РєР°Рє РјРёРЅРёРјСѓРј 250 000 С„СЂР°РЅРєРѕРІ РЅРµ Р±СѓРґСѓС‚ РІС‹РїР»Р°С‡РµРЅС‹ РґРѕ 30РіРѕ Р°РїСЂРµР»СЏ, С‚РµР»РµРІРёРґРµРЅРёРµ Р‘РѕСЃРЅРёРё PBS BHRT Р±СѓРґРµС‚ РёСЃРєР»СЋС‡РµРЅРѕ РёР· СѓС‡Р°СЃС‚РёСЏ РІ РєРѕРЅРєСѓСЂСЃРµ Р•РІСЂРѕРІРёРґРµРЅРёРµ СЌС‚РѕРіРѕ РіРѕРґР°. Р”Р°Р»РµРµ, РґРѕ 15РіРѕ РёСЋРЅСЏ РґРѕР»Р¶РЅС‹ Р±С‹С‚СЊ РІС‹РїР»Р°С‡РµРЅС‹ РµС‰Рµ 500 000 С„СЂР°РЅРєРѕРІ, Р° РІ СЃР»СѓС‡Р°Рµ РёС… РЅРµСѓРїР»Р°С‚С‹, С‚РµР»РµРєРѕРјРїР°РЅРёРё Р‘РѕСЃРЅРёРё РЅРµ Р±СѓРґРµС‚ РїСЂРµРґРѕСЃС‚Р°РІР»РµРЅ СЂСЏРґ СѓСЃР»СѓРі РїРѕ СЃРёСЃС‚РµРјРµ Р•РІСЂРѕРІРёРґРµРЅРёСЏ, РІ С‚РѕРј С‡РёСЃР»Рµ РІ СЃС‚СЂР°РЅРµ РЅРµ РїСЂРѕР№РґРµС‚ С‚СЂР°РЅСЃР»СЏС†РёРё Р§РµРјРїРёРѕРЅР°С‚Р° РњРёСЂР° РїРѕ Р¤СѓС‚Р±РѕР»Сѓ РёР· Р®Р¶РЅРѕР№ РђС„СЂРёРєРё. РџРѕР»РЅРѕСЃС‚СЊСЋ РІРµСЃСЊ РґРѕР»Рі РґРѕР»Р¶РµРЅ Р±С‹С‚СЊ РІС‹РїР»Р°С‡РµРЅ РґРѕ РєРѕРЅС†Р° С‚РµРєСѓС‰РµРіРѕ РіРѕРґР°. Р•Р’РЎ РѕР±СЂР°С‚РёР»РѕСЃСЊ СЃ РїРёСЃСЊРјРѕРј Рє РїР°СЂР»Р°РјРµРЅС‚Р°СЂРёСЏРј СЃС‚СЂР°РЅС‹, РїРѕРјРѕС‡СЊ СЂРµС€РёС‚СЊ СЌС‚РѕС‚ Рё РґСЂСѓРіРёРµ РІРѕРїСЂРѕСЃС‹, РЅРµСЂРµС€РµРЅРЅРѕСЃС‚СЊ РєРѕС‚РѕСЂС‹С… РјРѕР¶РµС‚ РїРѕРІР»РµС‡СЊ Р·Р° СЃРѕР±РѕР№ РїРѕР»РЅРѕРµ РёСЃРєР»СЋС‡РµРЅРёРµ Рє 2012 РіРѕРґСѓ РѕС‚ РёРЅС‚РµСЂР°РєС‚РёРІРЅРѕР№ С‚РµР»РµРІРµС‰Р°С‚РµР»СЊРЅРѕР№ СЃРІСЏР·Рё С‚РµР»РµРєРѕРјРїР°РЅРёРё Р‘РѕСЃРЅРёРё СЃ РѕСЃС‚Р°Р»СЊРЅРѕР№ Р•РІСЂРѕРїРѕР№. "Р§Р»РµРЅСЃС‚РѕРІ РІ Р•Р’РЎ РЅР°РєР»Р°РґС‹РІР°РµС‚ РѕРїСЂРµРґРµР»РµРЅРЅС‹Рµ РѕР±СЏР·Р°РЅРЅРѕСЃС‚Рё, РЅРѕ Рё РґР°РµС‚ РїСЂР°РІРѕ РѕР±СЂР°С‚РёС‚СЊСЃСЏ Р·Р° РїРѕРјРѕС‰СЊСЋ", РіРѕРІРѕСЂРёС‚СЃСЏ РІ Р·Р°СЏРІР»РµРЅРёРё. Р•Р’РЎ СЃРѕРѕР±С‰Р°РµС‚, С‡С‚Рѕ РіРѕС‚РѕРІРѕ РїРѕРјРѕС‡СЊ Р±РѕСЂРѕС‚СЊСЃСЏ СЃ РїСЂРѕР±Р»РµРјР°РјРё, РІРєР»СЋС‡Р°СЏ РїРѕРјРѕС‰СЊ С‡РµСЂРµР· СЃРїРµС†РёР°Р»СЊРЅС‹Р№ РїСЂРѕРµРєС‚ РїРѕРјРѕС‰Рё РЅСѓР¶РґР°СЋС‰РёРјСЃСЏ С‡Р»РµРЅР°Рј СЃРѕСЋР·Р°. РћРґРЅР°РєРѕ, РїРѕРґС‡РµСЂРєРёРІР°РµС‚СЃСЏ РІ Р·Р°СЏРІР»РµРЅРёРё, Р•Р’РЎ СѓР¶Рµ РІ Р·РЅР°Рє СЃРѕР»РёРґР°СЂРЅРѕСЃС‚Рё С€РёСЂРѕРєРёРј Р¶РµСЃС‚РѕРј СЃРїРёСЃР°Р» РІСЃРµ РґРѕР»РіРё С‚РµР»РµРєРѕРјРїР°РЅРёРё Р‘РѕСЃРЅРёРё Р·Р° РїРµСЂРёРѕРґ РІРѕР№РЅС‹ РІ СЌС‚РѕР№ СЃС‚СЂР°РЅРµ, Рё Р±РѕР»СЊС€СѓСЋ С‡Р°СЃС‚СЊ РґРѕР»РіР°, СЃРѕР±СЂР°РЅРЅРѕРіРѕ РґРѕ 2002 РіРѕРґР°. "РџРѕРґРѕР±РЅС‹Рµ РґРµР№СЃС‚РІРёСЏ РЅРµ РјРѕРіСѓС‚ Р±С‹С‚СЊ Рё РЅРµ Р±СѓРґСѓС‚ РїРѕРІС‚РѕСЂРµРЅС‹", С‚РІРµСЂРґРѕ РіРѕРІРѕСЂРёС‚ РіРµРЅРµСЂР°Р»СЊРЅС‹Р№ РґРёСЂРµРєС‚РѕСЂ Р•Р’РЎ. "РњС‹ РіРѕС‚РѕРІС‹ РїРѕРјРѕС‡СЊ СЂРµС€РёС‚СЊ РґР°РЅРЅСѓСЋ РїСЂРѕР±Р»РµРјСѓ, РІ РєР°РєРѕР№-С‚Рѕ РµРµ С‡Р°СЃС‚Рё, РїСѓС‚РµРј РґРѕР»РіРѕСЃСЂРѕС‡РЅРѕРіРѕ СЂРµСЃС‚СЂСѓРєС‚СѓРёСЂРѕРІР°РЅРёСЏ РґРѕР»РіР°. РћРґРЅР°РєРѕ, РЅРёРєР°РєРёС… РґРµР№СЃС‚РІРµРЅРЅС‹С… РїСЂРµРґР»РѕР¶РµРЅРёР№ РІ РЅР°С€ Р°РґСЂРµСЃ РїРѕРєР° РЅРµ РїРѕСЃС‚СѓРїР°Р»Рѕ". 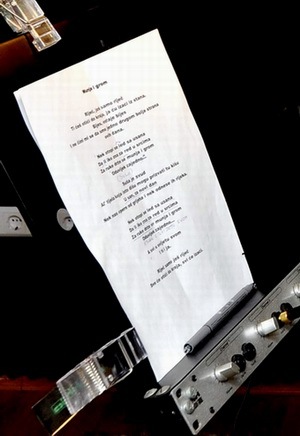 05/02 Lyrics of Bosnian entry have become available in the internet after being caught by photographer of Dnevni Avaz newspaper during recording session of Vukasin Brajic in Edo and Adi Mulahalilovic's studio. However, only Bosnian lyrics came into light, the song is scheduled to be performed in billingual, Bosnian-English version. According to Eurovision.tv, the date of presentation of Bosnian entry is now moved to 14th of March. РўРµРєСЃС‚ РїРµСЃРЅРё Р‘РѕСЃРЅРёРё Рё Р“РµСЂС†РµРіРѕРІРёРЅС‹ РїРѕРїР°Р» РІ РёРЅС‚РµСЂРЅРµС‚ Р±СѓРґСѓС‡Рё СЃС„РѕС‚РѕРіСЂР°С„РёСЂРѕРІР°РЅРЅС‹Рј РєРѕСЂСЂРµСЃРїРѕРЅРґРµРЅС‚РѕРј РіР°Р·РµС‚С‹ Dnevni Avaz РІРѕ РІСЂРµРјСЏ СЃРµСЃСЃРёРё Р·Р°РїРёСЃРё Р’СѓРєР°С€РёРЅРѕРј Р‘СЂР°Р№РёС‡РµРј РїРµСЃРЅРё РІ СЃС‚СѓРґРёРё Р­РґРѕ Рё РђРґРё РњСѓР»Р°С…Р°Р»РёР»РѕРІРёС‡РµР№. РћРґРЅР°РєРѕ, РґРѕСЃС‚СѓРїРµРЅ РЅР° СЃРµРіРѕРґРЅСЏ С‚РѕР»СЊРєРѕ Р±РѕСЃРЅРёР№СЃРєРёР№ С‚РµРєСЃС‚, РїР»Р°РЅРёСЂСѓРµС‚СЃСЏ, С‡С‚Рѕ РїРµСЃРЅСЏ Р±СѓРґРµС‚ РёСЃРїРѕР»РЅРµРЅР° РІ РґРІСѓСЏР·С‹С‡РЅРѕР№, Р±РѕСЃРЅРёР№СЃРєРѕ-Р°РЅРіР»РёР№СЃРєРѕР№ РІРµСЂСЃРёРё. РџРѕ СЃРѕРѕР±С‰РµРЅРёСЋ РѕС„. СЃР°Р№С‚Р° РєРѕРЅРєСѓСЂСЃР° РїСЂРµР·РµРЅС‚Р°С†РёСЏ Р±РѕСЃРЅРёР№СЃРєРѕР№ РїРµСЃРЅРё РїРµСЂРµРЅРµСЃРµРЅР° РЅР° 14Рµ РјР°СЂС‚Р°. Ti Д‡eЕЎ otiД‡i do kraja, ja Д‡u izaД‡i iz stana. 11/01 VukaЕЎin BrajiД‡ will represent Bosnia and Herzegovina with "Munja i Grom" (Lightning & Thunder) written by Dino Saran. His song has been selected today by professional jury from around 90 entries and will be presented during a special TV show on 7th of March. Jury members were: Dejan KukriД‡, head of entertainment-music broadcast of BHT1, Jasmin FeroviД‡, head of music broadcast of BH Radio 1, Adnan MuЕЎanoviД‡, music producer MP BHRT, Zoran NikoliД‡, docent Akademija umjetnosti Banja Luka, Amira Medunjanin, musician, Ismet ArnautaliД‡, producer, Vesna Andree ZaimoviД‡, musicologist, Vlado Podany, musician. - This year we had just five or six solid compositions. Level of applications is the mirror of our music scene, which is evidently in crisis. The fact is that the strongest authors do not want to take part in the preselection - admits Dejan Kukric, head of BH Eurosong. Interestingly, as according to preselection rules it was possible to apply separately as singer without the specified song entry, it was the way Vukasin Brajic did. Then he had started searching for an appropriate song and approached Dino Saran. Singer has admitted he is happy that the song was finally chosen and that he was indeed preferred to be it's performer. Singer described his entry as being between the rock and ballad, with calm verses and dynamic refrain. Dino Е aran (born 4th January 1969) is frontman of Bosnian rock band Letu stuke, with which he gained great popularity in all countries of the region, and is considered one of the most respectable composers in BiH and Croatia. He has composed songs for Vanna, Luka Nizetiz, Crvena jabuke, Halid Beslic and others. Songwriter skeptical about Eurovision. Author of Bosnian entry Dino Saran: "Eurovision just isn't my pair of sleeves. I had no idea to apply for it in any context. Vukasin wanted to do it. He asked for a song and I was skeptical. However, the option to appear as the author made me to accept the idea, "said Saran to BETA. "I hope that the song will achieve success, but I wouldn't predict the placement. I wrote a song which Vukasin can perform also after Eurovision". Author described "Munju i grom" as a "medium tempo song, which did is not bend for the Eurovision format and is a rock song". Р’СѓРєР°С€РёРЅ Р‘СЂР°Р№РёС‡ РїСЂРµРґСЃС‚Р°РІРёС‚ Р‘РѕСЃРЅРёСЋ Рё Р“РµСЂС†РµРіРѕРІРёРЅСѓ СЃ РїРµСЃРЅРµР№ "Munja i Grom" (РњРѕР»РЅРёСЏ Рё РіСЂРѕРј), РЅР°РїРёСЃР°РЅРЅРѕР№ Р”РёРЅРѕ РЁР°СЂР°РЅ. Р•РіРѕ РїРµСЃРЅСЏ Р±С‹Р»Р° РІС‹Р±СЂР°РЅР° РїСЂРѕС„РµСЃСЃРёРѕРЅР°Р»СЊРЅС‹Рј Р¶СЋСЂРё СЃРµРіРѕРґРЅСЏ РёР· РѕРєРѕР»Рѕ 90 Р·Р°СЏРІРѕРє Рё Р±СѓРґРµС‚ РїСЂРµР·РµРЅС‚РѕРІР°РЅР° РІ СЃРїРµС†РёР°Р»СЊРЅРѕРј С‚РµР»РµС€РѕСѓ 7РіРѕ РјР°СЂС‚Р°. Р§Р»РµРЅС‹ Р¶СЋСЂРё: Р”РµР№СЏРЅ РљСѓРєСЂРёС‡, РіР»Р°РІР° РѕС‚РґРµР»Р° СЂР°Р·РІР»РµРєР°С‚РµР»СЊРЅРѕРіРѕ РІРµС‰Р°РЅРёСЏ BHT1, РЇСЃРјРёРЅ Р¤РµСЂРѕРІРёС‡, РіР»Р°РІР° РјСѓР·С‹РєР°Р»СЊРЅРѕРіРѕ РѕС‚РґРµР»Р° BH Radio 1, РђРґРЅР°РЅ РњСѓС€Р°РЅРѕРІРёС‡, РїСЂРѕРґСЋСЃРµСЂ, Р—РѕСЂР°РЅ РќРёРєРѕР»РёС‡, РґРѕС†РµРЅС‚ С…СѓРґРѕР¶РµСЃС‚РІРµРЅРЅРѕР№ Р°РєР°РґРµРјРёРё, Р‘Р°РЅСЊСЏ Р›СѓРєР°, РђРјРёСЂР° РњРµРґСѓРЅСЊСЏРЅРёРЅ, РјСѓР·С‹РєР°РЅС‚, Р�СЃРјРµС‚ РђСЂРЅР°СѓС‚Р°Р»РёС‡, РїСЂРѕРґСЋСЃРµСЂ, Р’РµСЃРЅР° РђРЅРґСЂРµРµ Р—Р°РёРјРѕРІРёС‡, РјСѓР·С‹РєРѕРІРµРґ, Р’Р»Р°РґРѕ РџРѕРґР°РЅС‹, РјСѓР·С‹РєР°РЅС‚. - Р’ СЌС‚РѕРј РіРѕРґСѓ Сѓ РЅР°СЃ Р±С‹Р»Рѕ РІСЃРµРіРѕ РїСЏС‚СЊ РёР»Рё С€РµСЃС‚СЊ СЃРёР»СЊРЅС‹С… Р·Р°СЏРІРѕРє. Р�С… СѓСЂРѕРІРµРЅСЊ РѕС‚СЂР°Р¶Р°РµС‚ СѓСЂРѕРІРµРЅСЊ РЅР°С€РµР№ РјСѓР·С‹РєР°Р»СЊРЅРѕР№ СЃС†РµРЅС‹, РєРѕС‚РѕСЂР°СЏ Р±РµР· СЃРѕРјРЅРµРЅРёСЏ РЅР°С…РѕРґРёС‚СЃСЏ РІ РєСЂРёР·РёСЃРµ. РџСЂРѕР±Р»РµРјР° С‚Р°РєР¶Рµ Рё РІ С‚РѕРј, С‡С‚Рѕ СЃРёР»СЊРЅРµР№С€РёРµ Р°РІС‚РѕСЂС‹ РЅРµ С…РѕС‚СЏС‚ РїСЂРёРЅРёРјР°С‚СЊ СѓС‡Р°СЃС‚РёРµ РІ РѕС‚Р±РѕСЂРµ - РїСЂРёР·РЅР°РµС‚ Р”РµР№СЏРЅ РљСѓРєСЂРёС‡, РіР»Р°РІР° BH Eurosong. Р�РЅС‚РµСЂРµСЃРЅРѕ, С‡С‚Рѕ, РїРѕСЃРєРѕР»СЊРєСѓ РїСЂР°РІРёР»Р° РѕС‚Р±РѕСЂР° РїРѕР·РІРѕР»СЏСЋС‚ РёСЃРїРѕР»РЅРёС‚РµР»СЏРј РЅРѕРјРёРЅРёСЂРѕРІР°С‚СЊСЃСЏ РѕС‚РґРµР»СЊРЅРѕ, Р±РµР· РєРѕРЅРєСЂРµС‚РЅС‹С… РїРµСЃРµРЅ, С‚Р°Рє РїРѕСЃС‚СѓРїРёР» Рё Р’СѓРєР°С€РёРЅ Р‘СЂР°Р№РёС‡. Р—Р°С‚РµРј РѕРЅ РЅР°С‡Р°Р» РёСЃРєР°С‚СЊ РїРѕРґС…РѕРґСЏС‰СѓСЋ РєРѕРјРїРѕР·РёС†РёСЋ Рё РѕР±СЂР°С‚РёР»СЃСЏ Рє Р”РёРЅРѕ РЁР°СЂР°РЅСѓ. РџРµРІРµС† РїСЂРёР·РЅР°Р», С‡С‚Рѕ РѕРЅ СЂР°Рґ С‚РѕРјСѓ, С‡С‚Рѕ Р±С‹Р»Р° РІС‹Р±СЂР°РЅР° РёРјРµРЅРЅРѕ СЌС‚Р° РїРµСЃРЅСЏ Рё РѕРЅ Р±С‹Р» СѓС‚РІРµСЂР¶РґРµРЅ РµРµ РёСЃРїРѕР»РЅРёС‚РµР»РµРј. РЎР°Рј РѕРЅ РѕРїРёСЃР°Р» РµРµ РєР°Рє СЃСЂРµРґРЅСЋСЋ РјРµР¶РґСѓ СЂРѕРє-РєРѕРјРїРѕР·РёС†РёРµР№ Рё Р±Р°Р»Р»Р°РґРѕР№, СЃРѕ СЃРїРѕРєРѕР№РЅС‹РјРё РєСѓРїР»РµС‚Р°РјРё Рё РґРёРЅР°РјРёС‡РЅС‹Рј РїСЂРёРїРµРІРѕРј. Р”РёРЅРѕ РЁР°СЂР°РЅ (СЂРѕРґРёР»СЃСЏ 4РіРѕ СЏРЅРІР°СЂСЏ 1969) - С„СЂРѕРЅС‚РјРµРЅ Р±РѕСЃРЅРёР№СЃРєРѕР№ СЂРѕРє РіСЂСѓРїРїС‹ Letu stuke, СЃ РєРѕС‚РѕСЂРѕР№ РїСЂРёРѕР±СЂРµР» РїРѕРїСѓР»СЏСЂРЅРѕСЃС‚СЊ РІРѕ РІСЃРµС… СЃС‚СЂР°РЅР°С… СЂРµРіРёРѕРЅР°. РЎС‡РёС‚Р°РµС‚СЃСЏ РѕРґРЅРёРј РёР· СЃР°РјС‹С… СѓРІР°Р¶Р°РµРјС‹С… РєРѕРјРїРѕР·РёС‚РѕСЂРѕРІ Р‘РѕСЃРЅРёРё Рё РҐРѕСЂРІР°С‚РёРё. РџРёСЃР°Р» РїРµСЃРЅРё РґР»СЏ Р’Р°РЅРЅС‹, Р›СЋРєРё РќРёР·РµС‚РёС‡Р°, Crvena jabuke, РҐР°Р»РёРґР° Р‘РµСЃР»РёС‡Р° Рё РґСЂ. РђРІС‚РѕСЂ СЃРєРµРїС‚РёС‡РµСЃРєРё РѕС‚РЅРѕСЃРёС‚СЃСЏ Рє Р•РІСЂРѕРІРёРґРµРЅРёСЋ. РљРѕРјРїРѕР·РёС‚РѕСЂ Р±РѕСЃРЅРёР№СЃРєРѕР№ РїРµСЃРЅРё Р”РёРЅРѕ РЁР°СЂР°РЅ Р·Р°СЏРІРёР»: "Р•РІСЂРѕРІРёРґРµРЅРёРµ - СЌС‚Рѕ РїСЂРѕСЃС‚Рѕ РЅРµ РјРѕСЏ С‡Р°С€РєР° С‡Р°СЏ. РЇ РЅРµ РїР»Р°РЅРёСЂРѕРІР°Р» СѓС‡Р°СЃС‚РёСЏ РІ РЅРµРј РЅРё РІ РєР°РєРѕРј РІРёРґРµ. Р’СѓРєР°С€РёРЅ Р·Р°С…РѕС‚РµР» СЌС‚РѕРіРѕ. РћРЅ РїРѕРїСЂРѕСЃРёР» РЅР°РїРёСЃР°С‚СЊ РїРµСЃРµРЅ, РЅРѕ СЃРЅР°С‡Р°Р»Р° СЏ РІРѕСЃРїСЂРёРЅСЏР» СЌС‚Рѕ СЃРѕ СЃРєРµРїС‚РёС†РёР·РјРѕРј. РћРґРЅР°РєРѕ, СЏ РїРѕРґСѓРјР°Р», С‡С‚Рѕ РјРѕР¶РµС‚ Р±С‹С‚СЊ СѓС‡Р°СЃС‚РёРµ РІ РєР°С‡РµСЃС‚РІРµ Р°РІС‚РѕСЂР° РЅРµ С‚Р°Рє СѓР¶ Рё РїР»РѕС…Рѕ Рё СЃРѕРіР»Р°СЃРёР»СЃСЏ. РЇ РЅР°РґРµСЋСЃСЊ, С‡С‚Рѕ РїРµСЃРЅСЏ РґРѕСЃС‚РёРіРЅРµС‚ СѓСЃРїРµС…Р°, РЅРѕ РЅРµ Р±РµСЂСѓСЃСЊ РїСЂРµРґСЃРєР°Р·Р°С‚СЊ РµРµ СЂРµР·СѓР»СЊС‚Р°С‚Р°. РЇ РЅР°РїРёСЃР°Р» С‚Р°РєСѓСЋ РїРµСЃРЅСЋ, С‡С‚Рѕ Р’СѓРєР°С€РёРЅ СЃРјРѕР¶РµС‚ РёСЃРїРѕР»РЅСЏС‚СЊ РµРµ Рё РІРЅРµ Р•РІСЂРѕРІРёРґРµРЅРёСЏ". РђРІС‚РѕСЂ РѕРїРёСЃС‹РІР°РµС‚ "Munju i grom" РєР°Рє "СЃСЂРµРґРЅРµС‚РµРјРїРѕРІСѓСЋ РїРµСЃРЅСЋ, РєРѕС‚РѕСЂР°СЏ РЅРµ РїСЂРѕРіРёР±Р°РµС‚СЃСЏ РїРѕРґ С„РѕСЂРјР°С‚ Р•РІСЂРѕРІРёРґРµРЅРёСЏ, СЌС‚Рѕ СЂРѕРє РїРµСЃРЅСЏ". 23/12 Submission period for Bosnian preselection 2010 has ended on December 20th. Although the head of BH Eurosong Dejan Kukric still has no accurate data, according to first estimates between 80 and 100 entries were received. "The response is at the level of previous years. But it is quality which is important. If we find five good songs, we will be happy", says Kukric. Seven members of the panel of experts, whose names are kept in strict secrecy, should meet on 11th January and on the same day determine the song and artist that will represent BiH in Oslo at the Eurovision 2010. The first public performance of Bosnian Eurovision entry will be held on 7th of March in a special show on BHT 1. Total budget of Bosnian Eurovision preparations has been set in amount of 350 000 BAM (180 000 Euros). Among the artists, who applied to take part in the preselection according to local press are: Nermin Puskar Pusko, Igor Vukojevic, Maja Sarihodzic, Vukasin Brajic, Amel Curic, Alen Albinovic and others. РџРµСЂРёРѕРґ РїСЂРёРµРјР° Р·Р°СЏРІРѕРє РЅР° СѓС‡Р°СЃС‚РёРµ РІ Р‘РѕСЃРЅРёР№СЃРєРѕРј РѕС‚Р±РѕСЂРµ 2010 Р·Р°РІРµСЂС€РёР»СЃСЏ 20РіРѕ РґРµРєР°Р±СЂСЏ. РҐРѕС‚СЏ РіР»Р°РІР° РґРµР»РµРіР°С†РёРё Р‘РѕСЃРЅРёРё РµС‰Рµ РЅРµ РїРѕР»СѓС‡РёР» РѕРєРѕРЅС‡Р°С‚РµР»СЊРЅС‹С… С†РёС„СЂ, РїРѕ РїСЂРµРґРІР°СЂРёС‚РµР»СЊРЅС‹Рј РґР°РЅРЅС‹Рј Р±С‹Р»Рѕ РїРѕРґР°РЅРѕ РѕС‚ 80 РґРѕ 100 Р·Р°СЏРІРѕРє. "РџСЂРёРјРµСЂРЅРѕ СЌС‚Рѕ РЅР° СѓСЂРѕРІРЅРµ РїСЂРѕС€Р»С‹С… Р»РµС‚. РќРѕ РґР»СЏ РЅР°СЃ РїСЂРµР¶РґРµ РІСЃРµРіРѕ РІР°Р¶РЅРѕ РєР°С‡РµСЃС‚РІРѕ. Р•СЃР»Рё РјС‹ РЅР°Р№РґРµРј РїСЏС‚СЊ С…РѕСЂРѕС€РёС… РїРµСЃРµРЅ - РјС‹ СѓР¶Рµ Р±СѓРґРµРј СЃС‡Р°СЃС‚Р»РёРІС‹", РіРѕРІРѕСЂРёС‚ РљСѓРєСЂРёС‡. РЎРµРјСЊ С‡Р»РµРЅРѕРІ СЌРєСЃРїРµСЂС‚РЅРѕРіРѕ СЃРѕРІРµС‚Р°, С‡СЊРё РёРјРµРЅР° РґРµСЂР¶СѓС‚СЃСЏ РІ СЃС‚СЂРѕРіРѕРј СЃРµРєСЂРµС‚Рµ, РґРѕР»Р¶РЅС‹ Р±СѓРґСѓС‚ СЃРѕР±СЂР°С‚СЊСЃСЏ 11РіРѕ СЏРЅРІР°СЂСЏ Рё РІ С‚РѕС‚ Р¶Рµ РґРµРЅСЊ РѕРїСЂРµРґРµР»РёС‚СЊ РїРµСЃРЅСЋ Рё РёСЃРїРѕР»РЅРёС‚РµР»СЏ, РєРѕС‚РѕСЂС‹Рµ РїСЂРµРґСЃС‚Р°РІСЏС‚ Р‘РѕСЃРЅРёСЋ Рё Р“РµСЂС†РµРіРѕРІРёРЅСѓ РЅР° Р•РІСЂРѕРІРёРґРµРЅРёРё 2010. РџСЂРµР·РµРЅС‚Р°С†РёСЏ Р‘РѕСЃРЅРёР№СЃРєРѕР№ РїРµСЃРЅРё РїСЂРѕР№РґРµС‚ 7РіРѕ РјР°СЂС‚Р° РІРѕ РІСЂРµРјСЏ СЃРїРµС†РёР°Р»СЊРЅРѕРіРѕ С€РѕСѓ РЅР° BHT 1. РћР±С‰РёР№ Р±СЋРґР¶РµС‚ СѓС‡Р°СЃС‚РёСЏ Р‘РѕСЃРЅРёРё РЅР° Р•РІСЂРѕРІРёРґРµРЅРёРё СѓСЃС‚Р°РЅРѕРІР»РµРЅ РІ СЂР°Р№РѕРЅРµ 180 000 РµРІСЂРѕ. РџРѕ СЃРѕРѕР±С‰РµРЅРёСЏРј РјРµСЃС‚РЅРѕР№ РїСЂРµСЃСЃС‹, СЃСЂРµРґРё Р°СЂС‚РёСЃС‚РѕРІ, РёР·СЉСЏРІРёРІС€РёС… Р¶РµР»Р°РЅРёРµ РїСЂРµРґСЃС‚Р°РІРёС‚СЊ СЃС‚СЂР°РЅСѓ Nermin Puskar Pusko, Igor Vukojevic, Maja Sarihodzic, Vukasin Brajic, Amel Curic, Alen Albinovic Рё РґСЂСѓРіРёРµ. 09/12 The public may get involved in the selection of Bosnian entrant for Eurovision 2010, told Bosnian head of delegation Dejan Kukric in the interview to Dnevni Avaz. "If the professional jury agrees on the name of performer and selected entry, we will publish the names at the end of this year, or early next year. So, it will be internal choice, as we did in previous years. However, if the opinions are divided, there is a possibility that special Eurosong show on March 7th will contain several acts and then televoters will have their say on the selection of the artist for Oslo". As earlier announced by ESCKaz, Bosnian broadcaster has invited songwriters (including foreign) to submit potential entries to BHRT till December 20th; singer selection is running as well with the same deadline, however, only Bosnian citizen may apply. РњРЅРµРЅРёРµ С‚РµР»РµР·СЂРёС‚РµР»РµР№ РјРѕР¶РµС‚ Р±С‹С‚СЊ СѓС‡С‚РµРЅРѕ РІ РѕС‚Р±РѕСЂРµ РїСЂРµРґСЃС‚Р°РІРёС‚РµР»СЏ Р‘РѕСЃРЅРёРё РЅР° Р•РІСЂРѕРІРёРґРµРЅРёРµ 2010, Р·Р°СЏРІРёР» РіР»Р°РІР° РґРµР»РµРіР°С†РёРё Р‘РѕСЃРЅРёРё РЅР° РєРѕРЅРєСѓСЂСЃРµ Р”РµСЏРЅ РљСѓРєСЂРёС‡ РІ РёРЅС‚РµСЂРІСЊСЋ РјРµСЃС‚РЅРѕР№ РїСЂРµСЃСЃРµ. "Р•СЃР»Рё РїСЂРѕС„РµСЃСЃРёРѕРЅР°Р»СЊРЅРѕРµ Р¶СЋСЂРё СЃРѕРіР»Р°СЃРёС‚СЃСЏ РЅР° РІС‹Р±РѕСЂ РєРѕРЅРєСЂРµС‚РЅРѕРіРѕ РёСЃРїРѕР»РЅРёС‚РµР»СЏ Рё РµРіРѕ РїРµСЃРЅРё, С‚Рѕ РјС‹ РѕРїСѓР±Р»РёРєСѓРµРј РёРјРµРЅР° РїРѕР±РµРґРёС‚РµР»РµР№ РѕС‚Р±РѕСЂР° РІ РєРѕРЅС†Рµ СЌС‚РѕРіРѕ РіРѕРґР° РёР»Рё РЅР°С‡Р°Р»Рµ СЃР»РµРґСѓСЋС‰РµРіРѕ. Р� СЌС‚Рѕ Р±СѓРґРµС‚ С‚Р°РєРѕР№ Р¶Рµ РІРЅСѓС‚СЂРµРЅРЅРёР№ РѕС‚Р±РѕСЂ, РєР°Рє Рё РІ РїСЂРѕС€Р»С‹Рµ РіРѕРґС‹. РћРґРЅР°РєРѕ, РµСЃР»Рё РјРЅРµРЅРёСЏ Р¶СЋСЂРё СЂР°Р·РґРµР»СЏС‚СЃСЏ, С‚Рѕ РµСЃР»Рё РІРѕР·РјРѕР¶РЅРѕСЃС‚СЊ С‚РѕРіРѕ, С‡С‚Рѕ РІ СЃРїРµС†РёР°Р»СЊРЅРѕРј С€РѕСѓ 7РіРѕ РјР°СЂС‚Р° Р±СѓРґСѓС‚ РїСЂРµР·РµРЅС‚РѕРІР°РЅС‹ РЅРµСЃРєРѕР»СЊРєРѕ РїРµСЃРµРЅ Рё СѓР¶Рµ Р·СЂРёС‚РµР»Рё СЃРјРѕРіСѓС‚ РІС‹СЃРєР°Р·Р°С‚СЊСЃСЏ Рѕ С‚РѕРј, РєР°РєР°СЏ РёР· РЅРёС… РґРѕСЃС‚РѕР№РЅР° РїСЂРѕР·РІСѓС‡Р°С‚СЊ РІ РћСЃР»Рѕ", РѕС‚РјРµС‚РёР» РѕРЅ. РљР°Рє СЂР°РЅРµРµ СЃРѕРѕР±С‰Р°Р» ESCKaz, Р±РѕСЃРЅРёР№СЃРєРёР№ С‚РµР»РµРєР°РЅР°Р» РїСЂРёРіР»Р°СЃРёР» Р°РІС‚РѕСЂРѕРІ РїРµСЃРµРЅ (РІРєР»СЋС‡Р°СЏ РёРЅРѕСЃС‚СЂР°РЅРЅС‹С…) РїРѕРґР°РІР°С‚СЊ РїРѕС‚РµРЅС†РёР°Р»СЊРЅС‹Рµ РїРµСЃРЅРё РІ BHRT РґРѕ 20РіРѕ РґРµРєР°Р±СЂСЏ; РїР°СЂР°Р»Р»РµР»СЊРЅРѕ, РІ С‚Рµ Р¶Рµ СЃСЂРѕРєРё РїСЂРѕРІРѕРґРёС‚СЃСЏ Рё РѕС‚Р±РѕСЂ РёСЃРїРѕР»РЅРёС‚РµР»РµР№, РїСЂРёРЅСЏС‚СЊ РІ РєРѕС‚РѕСЂРѕРј, РѕРґРЅР°РєРѕ, РјРѕРіСѓС‚ С‚РѕР»СЊРєРѕ РіСЂР°Р¶РґР°РЅРµ Р‘РѕСЃРЅРёРё.